Early November sunrise on the Atlantic. Click here to see more pictures from around the world on Skywatch Friday. 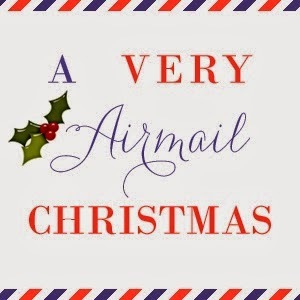 Mary at "Life in a Small Town" posted about participating in A Very Airmail Christmas. I went and checked it out and it sounds easy and fun, so I believe I will participate too. Go here to check it out and join in what I believe will be a good time. Seeing as how I've worked for our local police department for the past 37 years and have worked many, many holidays, it doesn't seem that big a deal to me. Lots of people have to work the holidays (medical, law enforcement, fire, etc.) It's just a fact of life. That being said, I don't plan to shop, but we are planning to have Thanksgiving lunch in a restaurant. No, I have never shopped in any of these cities. I'd most like to shop in New York City, I think. Craft supplies - specifically scrapbooking supplies. Yes, I am a fan. Yes, I read the books. I did see The Hunger Games. I have not seen Catching Fire yet, but I can hardly wait. Due to illness in our family, things are a little different this year. Our plans are to meet our youngest and her boyfriend and my sister and her husband at Cracker Barrel. Then at some point we'll go to mom and dad's and visit with them and my brother. For almost 3 weeks we lived in such sweet wonderfulness. We got up when we wanted. We slept when we wanted. We ate when we wanted. We sat on the balcony, walked on the beach, visited parks, spent time with his parents, shopped, read, crocheted (well I did), played on the computers. All when we wanted. And might I add, that is a wonderful way to live. We visited Ripley's Aquarium and they had the Festival of Trees going on. They had trees from all 50 states decorated. Very pretty. Even on an overcast day, it's still beautiful. But (there's always a but) we got back home Saturday night and within about an hour we "had" to go to the grocery. There were a few more items that needed to be purchased for the Thanksgiving baskets for church (I'm really not complaining. I was glad to do it) and we needed a few things ourselves. Then church on Sunday (which again I'm not complaining, just stating facts to make my point). We had great services. We watched Carina Sunday afternoon (which was a lot of fun) so her momma could get moved into their new apartment. Then Monday morning bright and early it was back to work. Let me tell you something, when you walk back into work after being off for 3 weeks...whew!...what a mess. But things went pretty well and I got most of it completed before I left. I must really say thank you to my co-workers who did so much of my work while I was gone. You guys are the best! Hope you all have a great day. I plan to. Heading to the mechanics to drop off my car. The heat is not working right and it's just a little too cold around here to not have good heat in my car. Then off to day 2 of work. That I don't have to be perfect to be loved by Jesus. That He loves and accepts me and forgives me even when I mess up big time. I'm giving you more than 1. It's my blog and I can do it, if I want to. Without a doubt these are the best decisions of my life. No, mine is not up, but it probably would have been if I weren't on vacation. I've reviewed books and also some products. Most were favorable. Hubby and I conversing about the things we want to do at our house. The young girl and her baby are in the process of moving out. She got her apartment today. We are so happy for her and also for us. We'll be painting and who knows what all. This is exciting to me. Hubby and I are also talking about getting another dog. Lily's been gone about a month now and we know we want another dog. Neither one of us can imagine us not having a dog. We've been watching people on the beach with their dogs and we've talked to people on the street and in parks when we see one we like the looks of. We've asked what they are and what their personality is like. We've talked to 2 different people with shih tzu, which is the size dog we are looking for. They had nothing but good to say about them. I'm thinking this may be the kind we will be getting. My brother and sister-in-law used to have a shih tzu and we had a lhasa apso, which is similar in looks. April, I know you have one. I'd love to know the pros and cons of having a shih tzu. Anybody? Sunday morning hubby and I were sitting on the balcony watch the ocean, as we've been doing most mornings. I asked him the question, "If you were asked right now to speak to a group of people (remember, he's a pastor) and were given just a couple of minutes, what would you speak on? He said he would use Genesis and speak about creation. Good choice. I told him the scripture that comes to my mind is the one that says something along the line of His mercies are new every morning. We've been talking about that off and on the last couple of days. Great is his faithfulness;his mercies begin afresh each morning." I was thinking how the tide comes in and washes away all the foot prints and others things in the sand and it starts out all fresh again. Just like God's mercy does for us. We have slips of the tongue, angry moments, etc each day. But because of God's mercy, he wipes the slate clean each day, if we ask. We can then start out each new day fresh and clean. Just like the sand when the tide goes back out. Tracy mentioned that the waves are like His love. They never stop. They just keep on, keeping on. Exactly like God's love. It never stops either. So take hope my friends. Jesus' love and mercy never ends. He will love us always. Get a bath, mom would put my hair in curlers and then I'd have to sit under a hairdryer (you know, the big hooded ones) and then get dressed and go to Sunday School and Church. Go home for lunch and then play in the afternoon and back to church for the Sunday night service. Then sometimes we go to a friend's home for awhile and then home and to bed. I'm not very comfortable with it. Makes me nervous. I'm crocheting dishcloths, head bands and making some bracelets. Working on getting a good inventory and then plan to open an Etsy Shop (I've talked about and planned this for awhile). Here's a picture of 2 I've worked on while on vacation. I've got another of the red, white and green ones going right now. No I haven't. My sister worked at Frisch's and I learned from her that it was a rather hard job and I have so much respect for waiters and waitresses. Can't think of anyone right off hand. I'm on vacation, so I don't HAVE to accomplish anything. My voice is not typically that low. This is my morning froggy voice. Click the Hodgepodge button to play along. Happy Birthday to your sister Joyce! How am I like my siblings? Well, we were all born with the same last name. lol Does that count? Loud and laughing. I was always loud and laughing at something. Painter. Because I'm watching a beautiful sunrise over the beach as I type this and I'd love to be able to paint it. I've told this before, but the smell of Fruit Loops cereal takes me back to when I was little girl eating breakfast at my grandparents house in Florida. That was the first time I had ever had Fruit Loops and I still love them today. I love peanut butter. My favorite dish is my dad's peanut butter fudge. No one can make it better. Although, he taught my sister to make it and she does it really good too. Not better than him, but just as good. We just completed another session of our Women's Bible Study, so probably lately it's been because I facilitate those studies. This trip my husband and I are on right now. Here's a panarama shot from our balcony window yesterday.